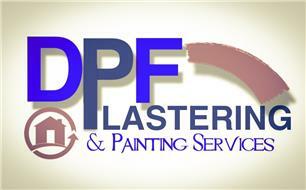 DPF Plastering & Painting Services - Painter/Decorator, Plasterer based in Sunbury-on-Thames, Middlesex. My name is Darren Fisher, owner of DPF Plastering and Painting Services based in Sunbury. I have been plastering for over 10 years and pride myself on my professional outlook on completing a job to the customers satisfaction. Some might say a perfectionist, but I just always want to complete a job knowing I have done the very best I can, and always being punctual, polite and above all trustworthy. no obligation quote, where I will visit your home, and inspect what needs doing and advise any savings I feel are appropriate . You will then receive a written quote for you to decide if you want to use my services. The services I offer are Plastering/painting/bathrooms/garage conversions/general building work. Please ask I'm sure I can help.